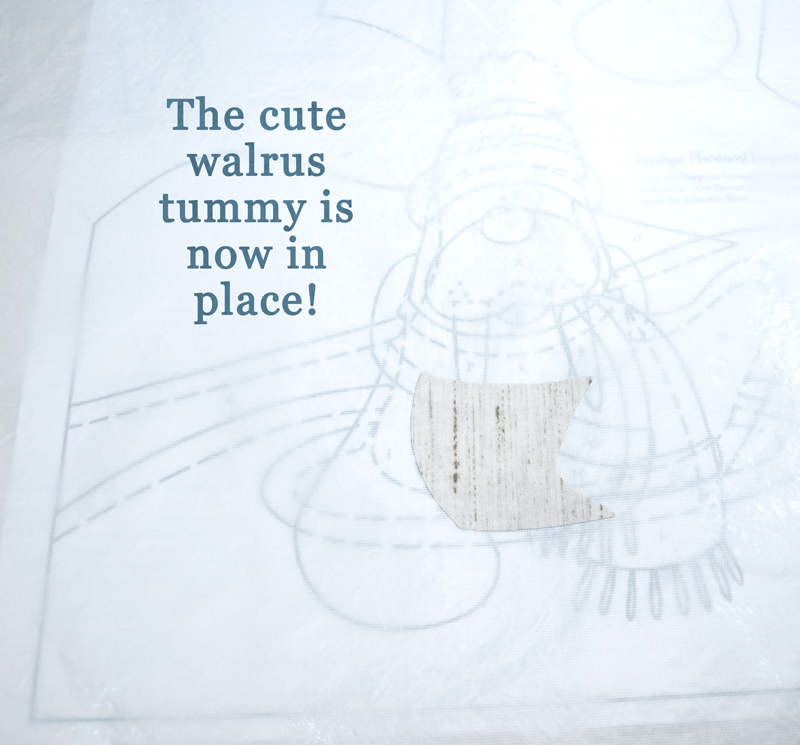 I’m using my Polar Walrus Patternlet as an example. This design is perhaps a little complex if you’re a beginner, but it allows me to show you a few tricks that you might use down the road. 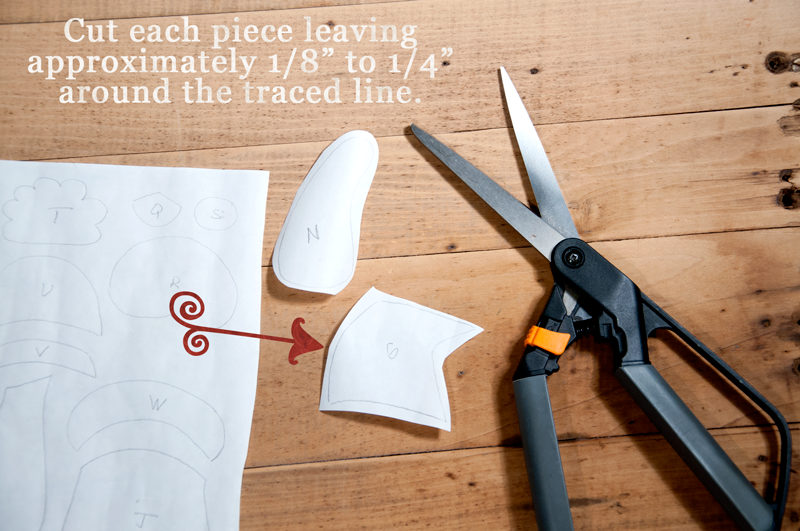 We have several Patternlets on our website that have fewer pieces, and would be a great beginner project. 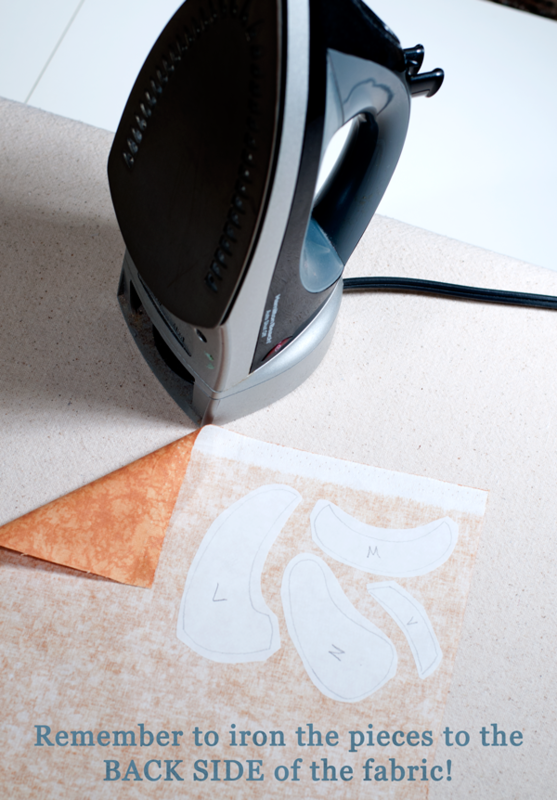 Iron the fusible pattern pieces to the appropriate fabric following the manufacturer’s instructions. 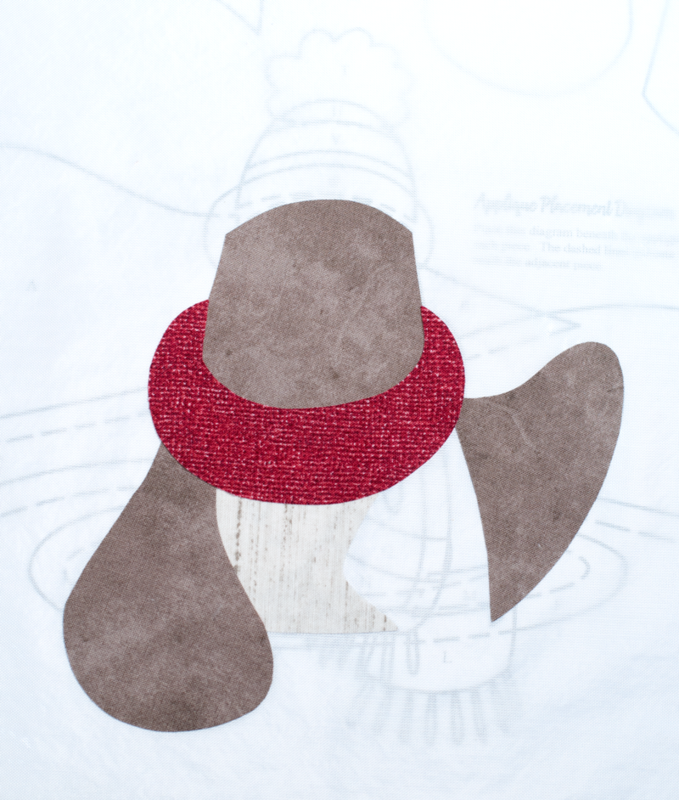 By the way, that's my applique pressing sheet (shown below) that I have been using for over TEN YEARS! Super durable! 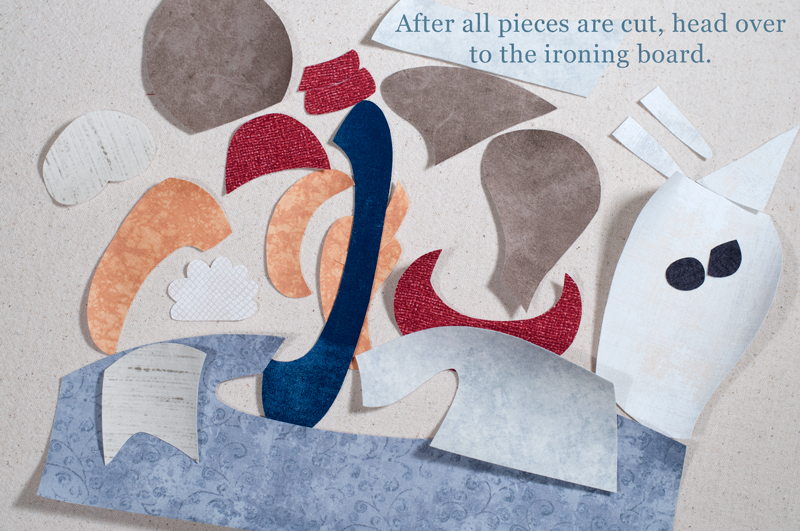 Going in alphabetical order, start placing your pieces. 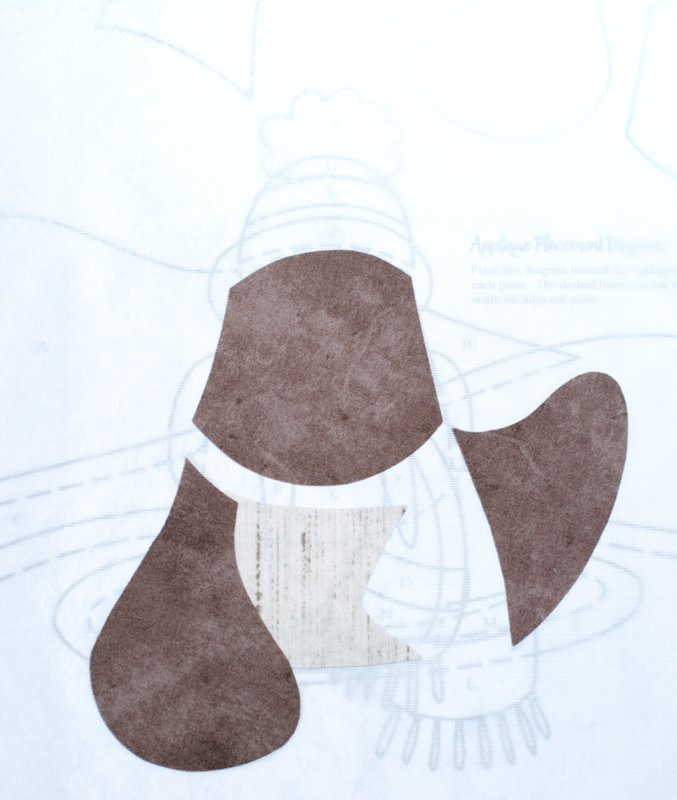 A little note: On my VERY EARLY patterns and patternlets, I didn't necessarily label them in alphabetical order. 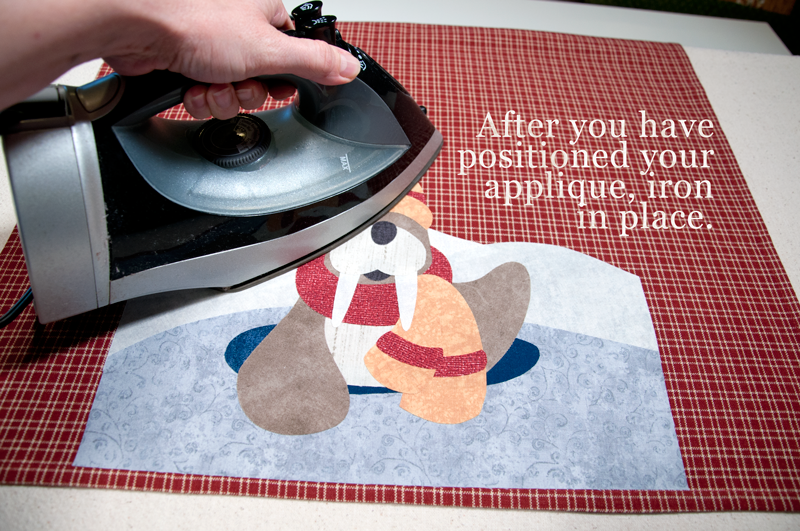 Something I learned along the way. 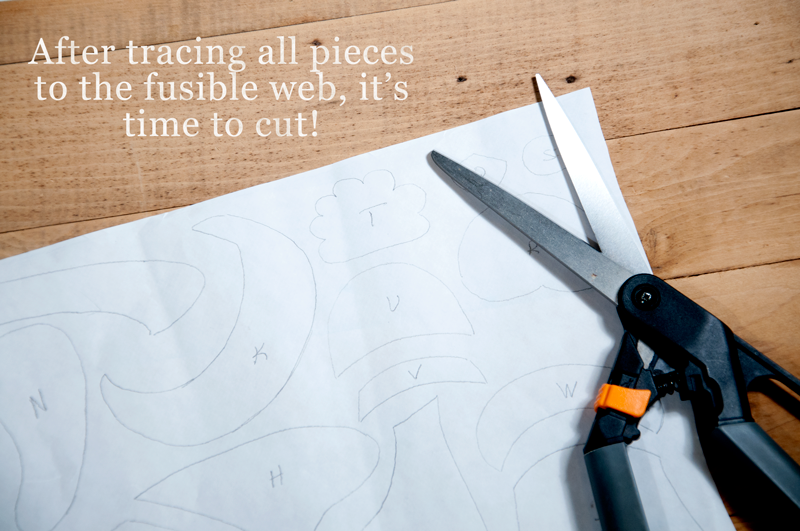 Just be sure to start with the pieces that would be in back, and work your way forward. 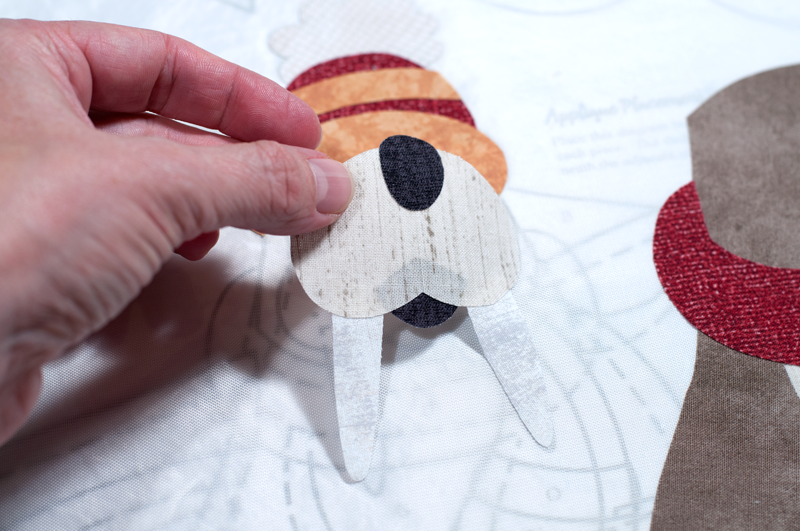 AN ADVANCED TIP, BELOW: You can see below where it would have been hard to place the nose, mouth, snout, and tusks, because the face piece (on the right below) wouldn’t allow you to see the diagram underneath. 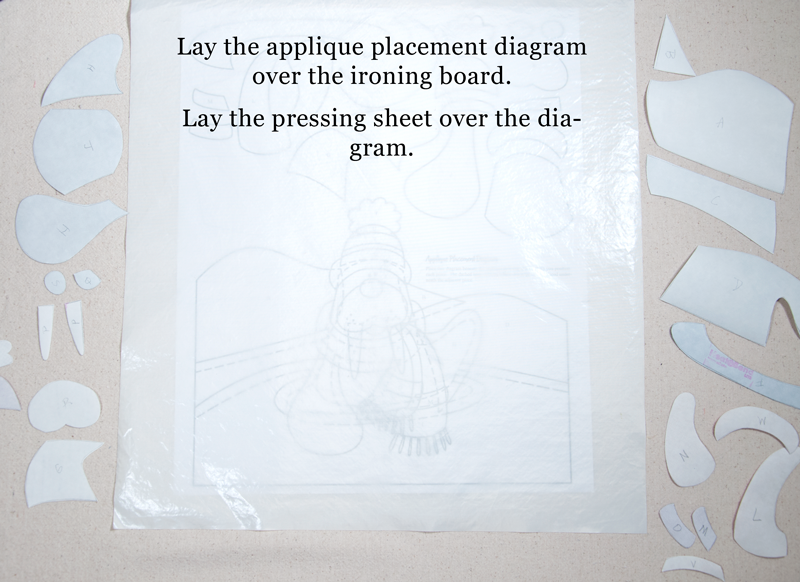 In this case, I would just slide the pressing sheet over so you can see the diagram of the face again, and assemble those pieces following the diagram. 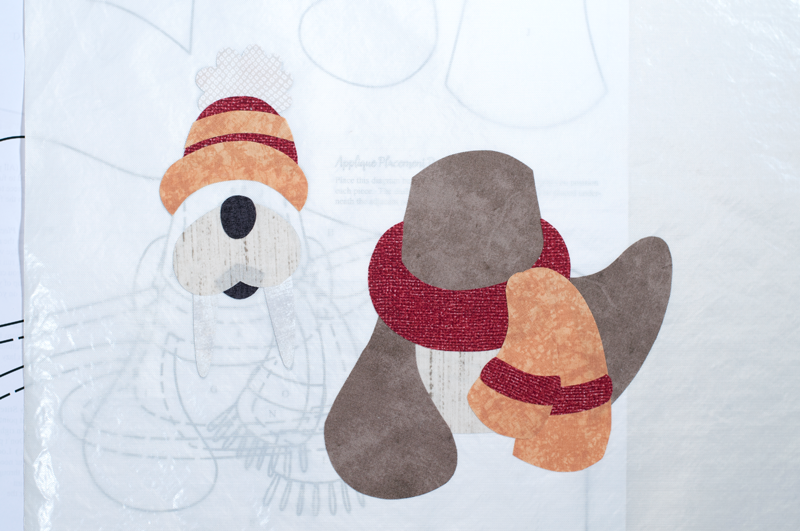 I did the same thing with the hat pieces. 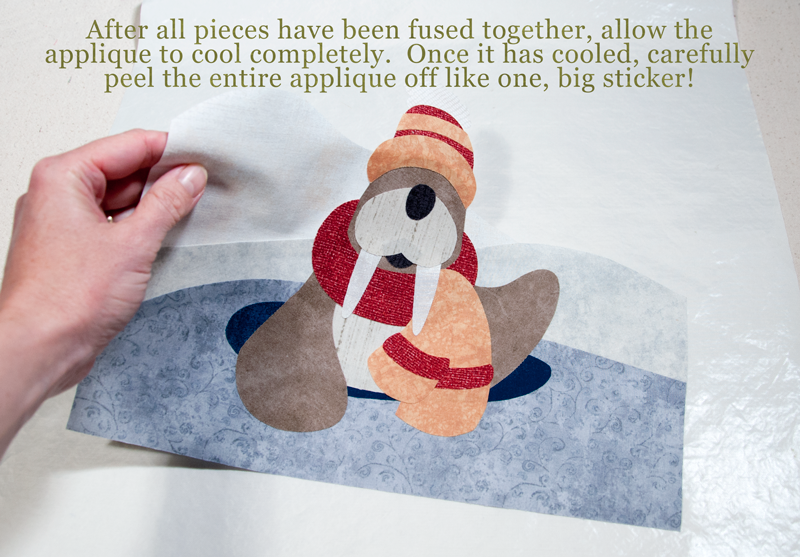 After those sections have cooled, peel them off and place them in position on the rest of the applique. 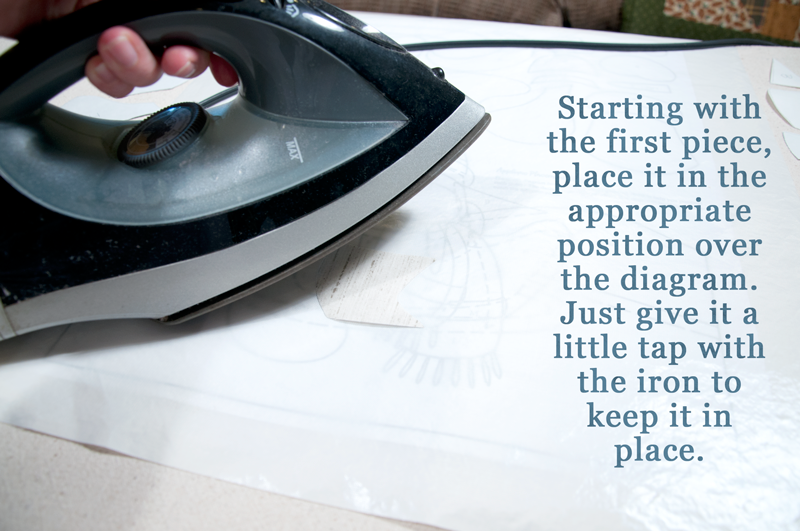 Iron in place. 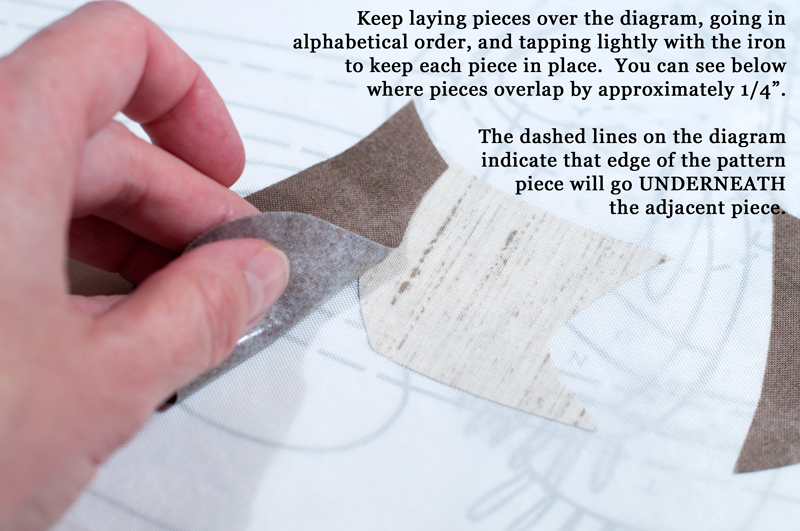 There may be times when you will simply have to place pieces by looking at the diagram, but use this technique when possible. 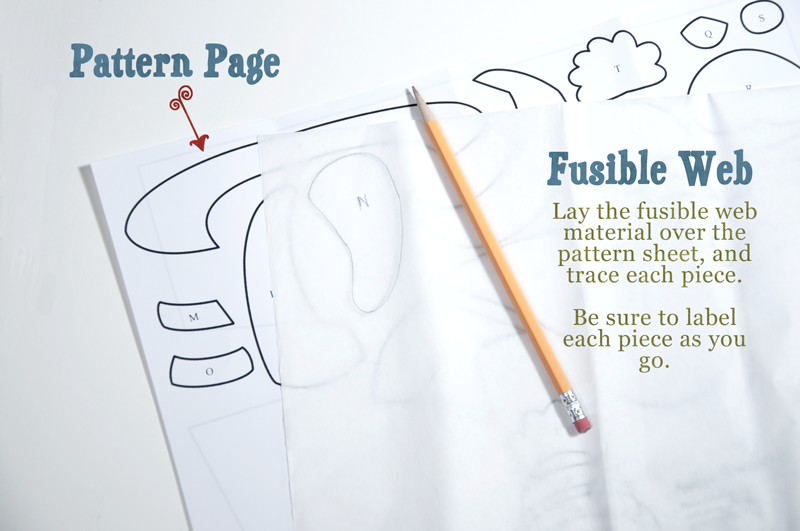 Assemble the face elsewhere on the sheet. 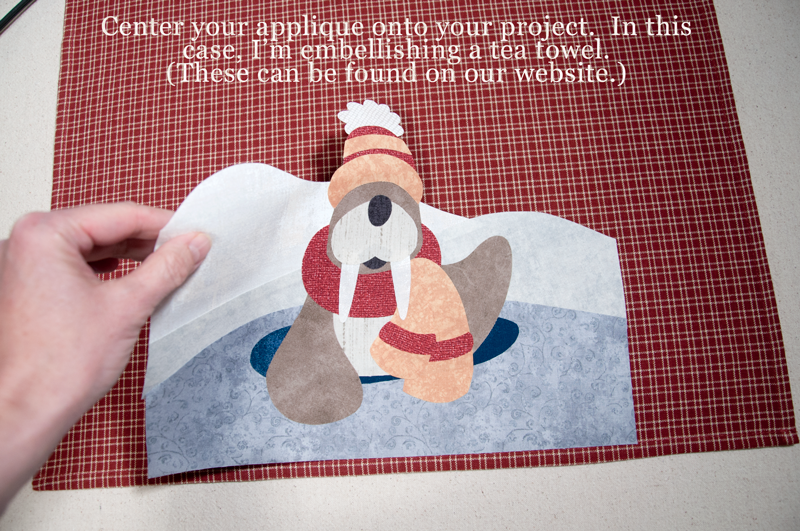 ...and attach to the rest of the applique. 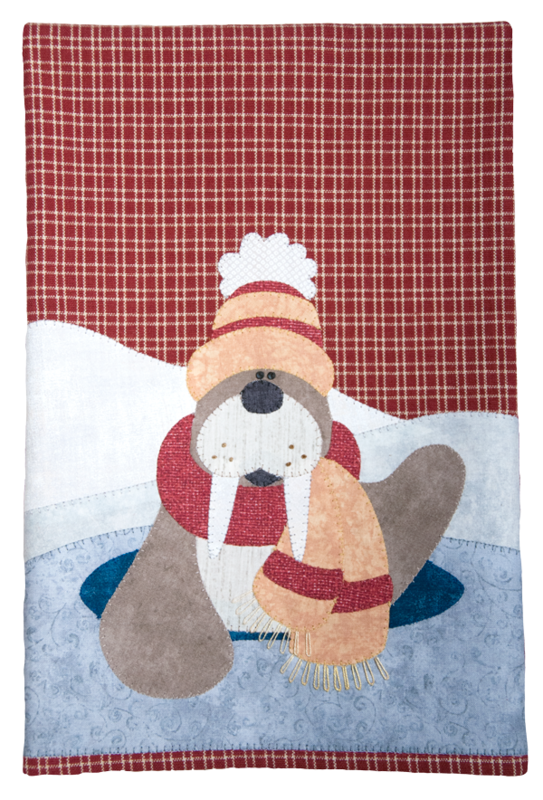 Now that the applique is assembled and in place, it’s time to stitch all your pieces and add decorative stitches, buttons, and embellishments! 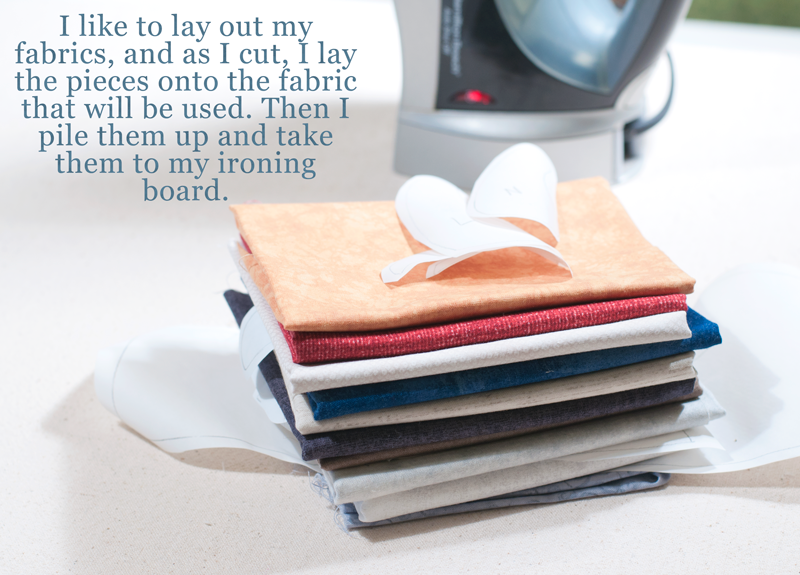 For tea towels, I usually fold the sides of the towel towards the back so that the front of the towel is approximately 9" wide. 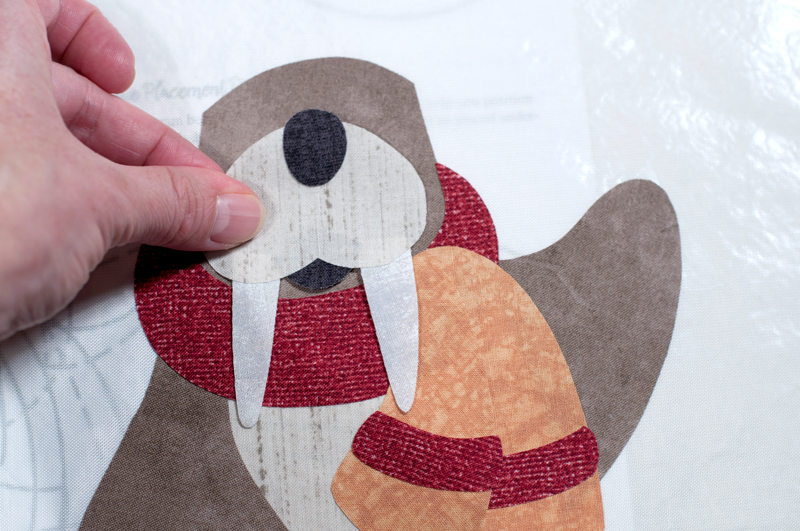 You can fold it however you want, but this will give you a little frame of reference as to the approximate size of the appliques on my patternlets. 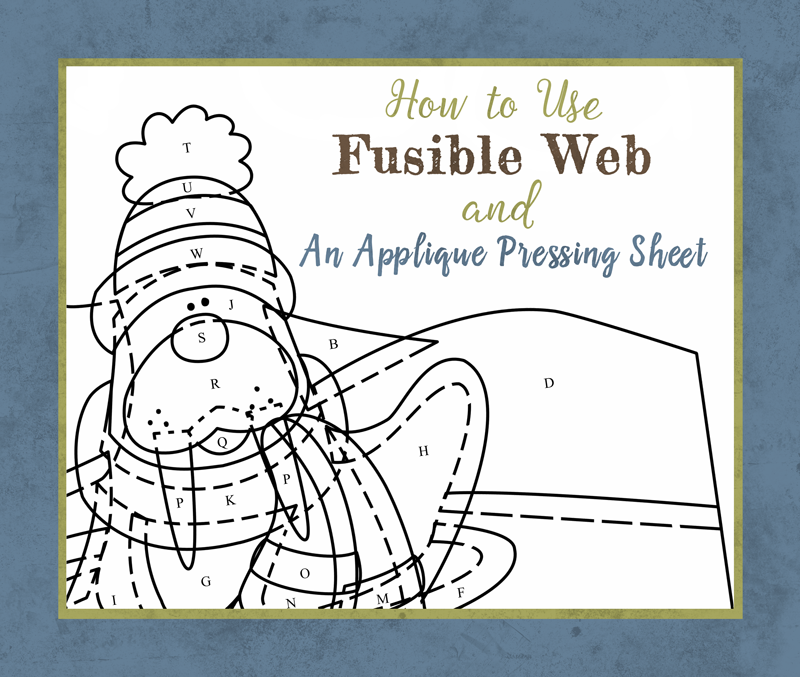 If you have any questions about using fusible web or the applique pressing sheet, feel free to email me at kelly@thewoodenbear.com. 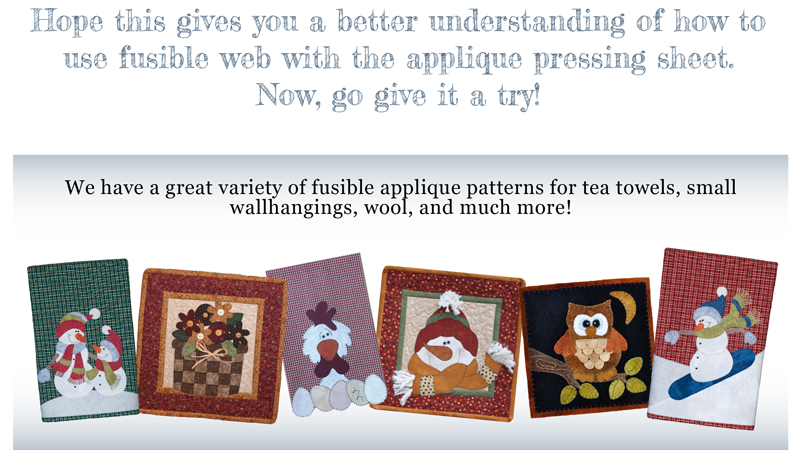 We sell the fusible web and the applique pressing sheets on our website. 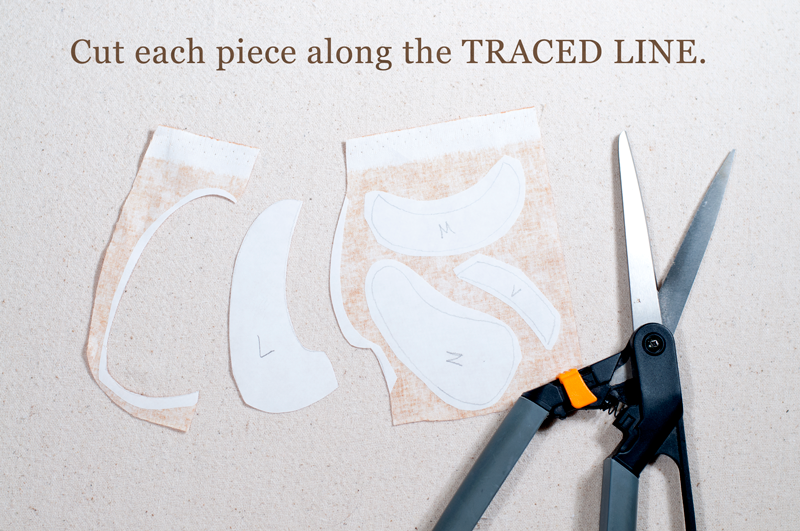 When you purchase the applique pressing sheet, you get a free patternlet of your choice! As I mentioned above, I have had mine for over ten years. It has seen much abuse, but it's still going strong!